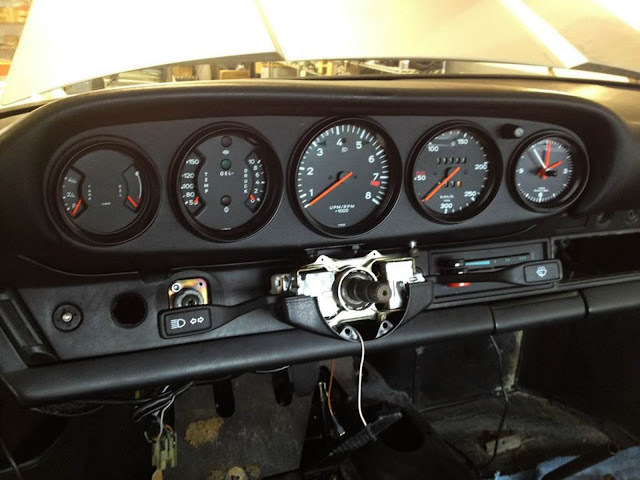 More details on the restoration of 1976 Carrera 2.7 MFI #911 660 9050 as we head towards the finish line. 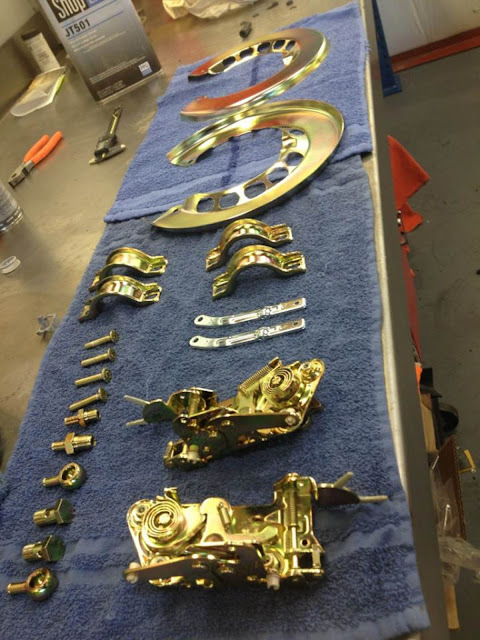 German Master Tech has been busy assembling the Carrera back to its original glory one part at a time. 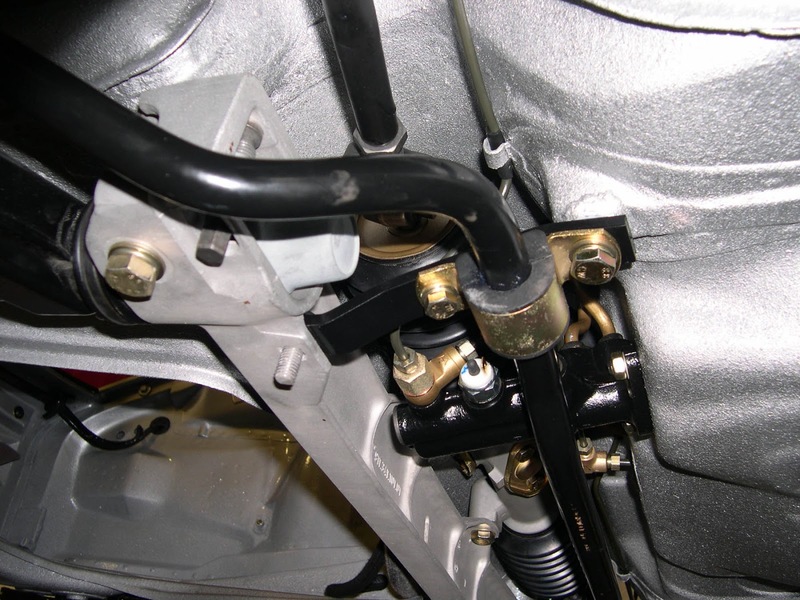 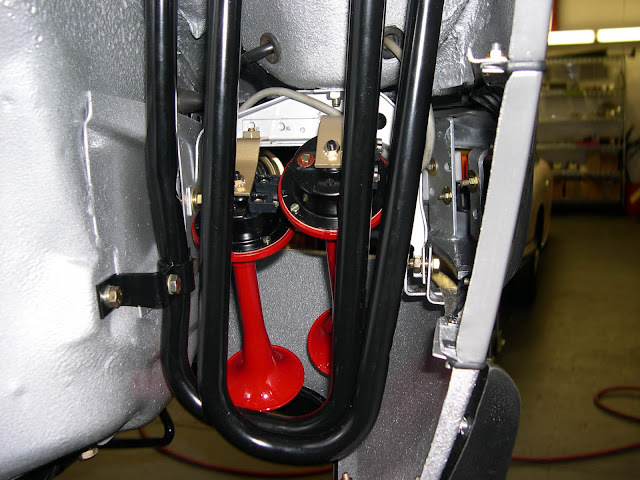 Original aluminum front cross member, steering rack, and anti-sway bars installed. 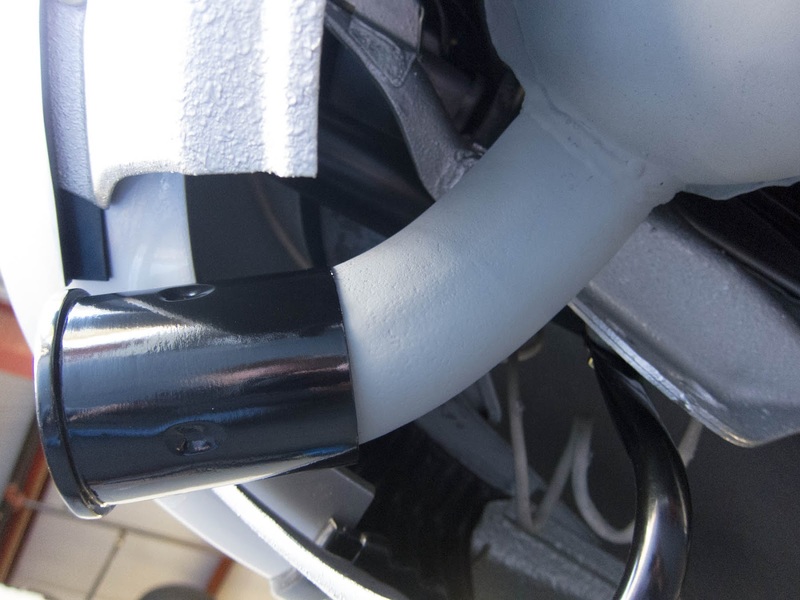 Trombone cooler and horns are a visual symphony. Gauges freshly restored by Palo Alto Speedometers make the interior look like it is starting to come together. 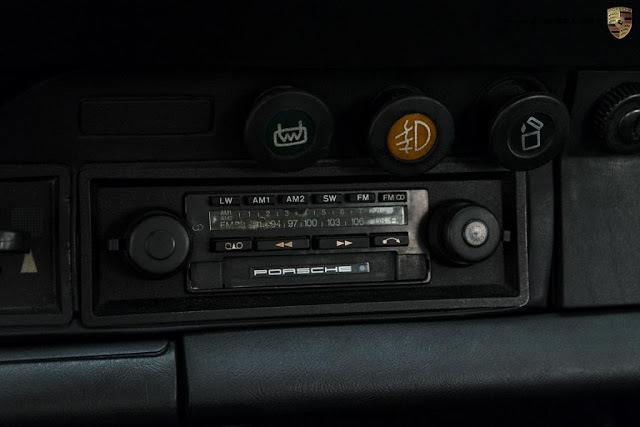 Palo Alto left the backs untouched so all the original date codes are still in place. More parts return from the platers ready to be assembled. 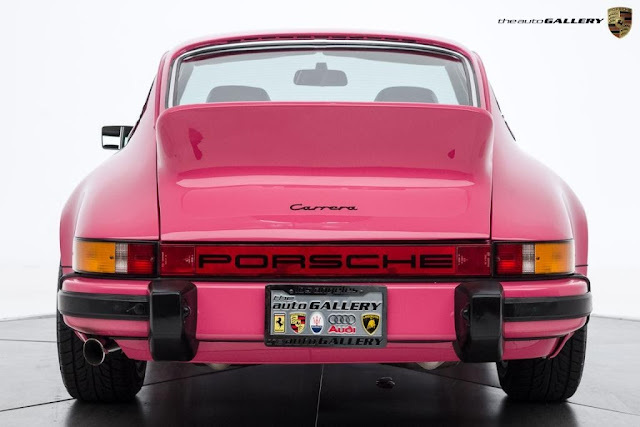 Very nicely restored 1974 Carrera in the extremely rare Magenta color, which looks fabulous for a period color especially with the chrome trim. 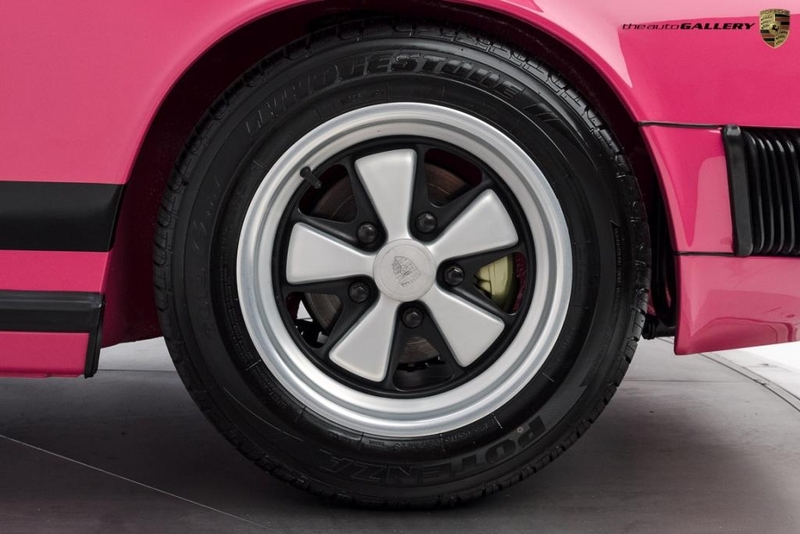 This is one of the early 1974 Carreras that still had the RS reinforcements welded into the rear tunnel, though by this point Porsche had switched to the stamped SC flares instead of welded on RS flares. 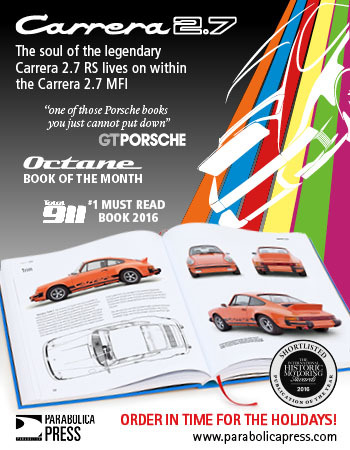 An exceptionally presented Carrera with the early thick grip hub-centric Carrera Sport steering wheel, Sport seats, ducktail, 15 x 7J and 8J Fuchs, chrome trim. 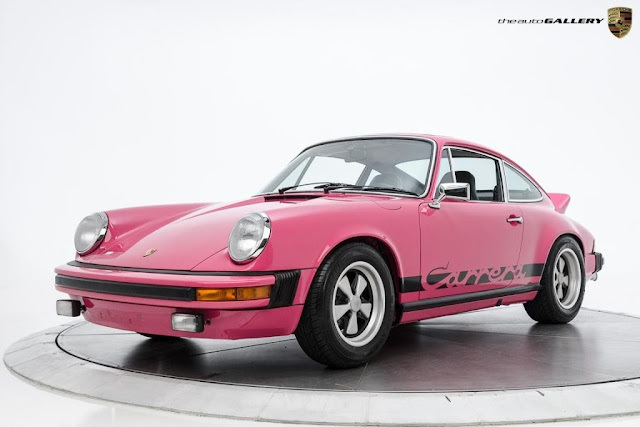 While I haven't seen a COA to compare the options to those originally delivered, it appears that the restorers have done their homework in trying to restore this Carrera to be close to how it would have left the factory in late 1973. 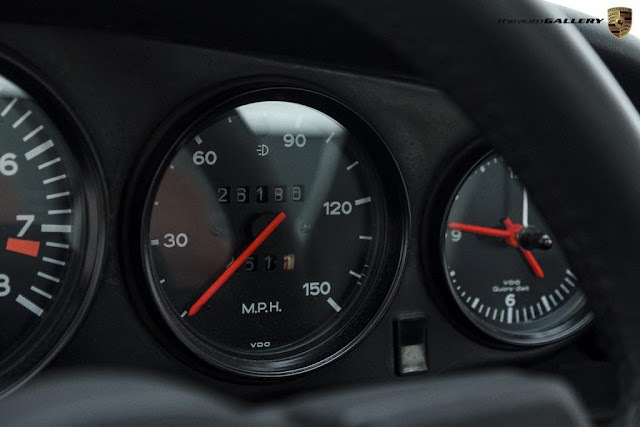 It is hard to find things to pick on, but a prospective buyer that wants to take the Carrera to top concours events have a few things that they may want to correct. 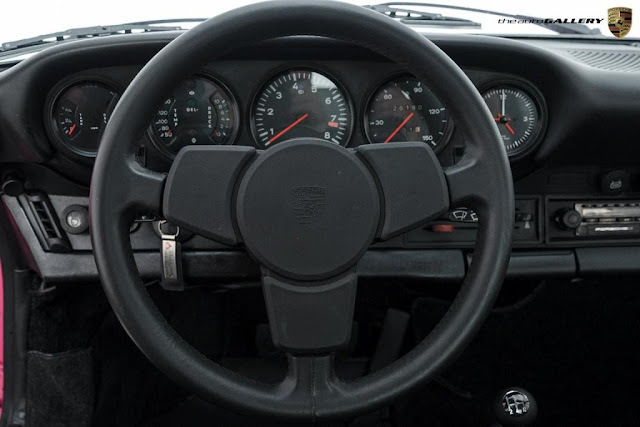 The Sport seat knobs are the incorrect later arrow version. 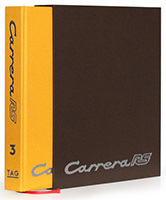 Appears to have the Carrera sticker used in the US instead of the rest-of-world Carrera script badge. 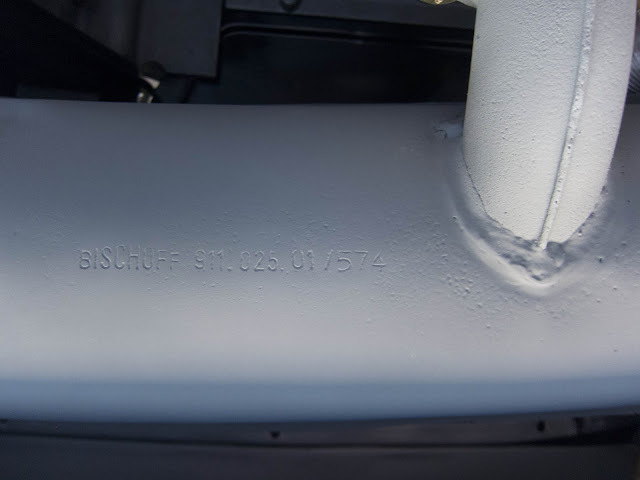 Missing tire pressure engine decal. 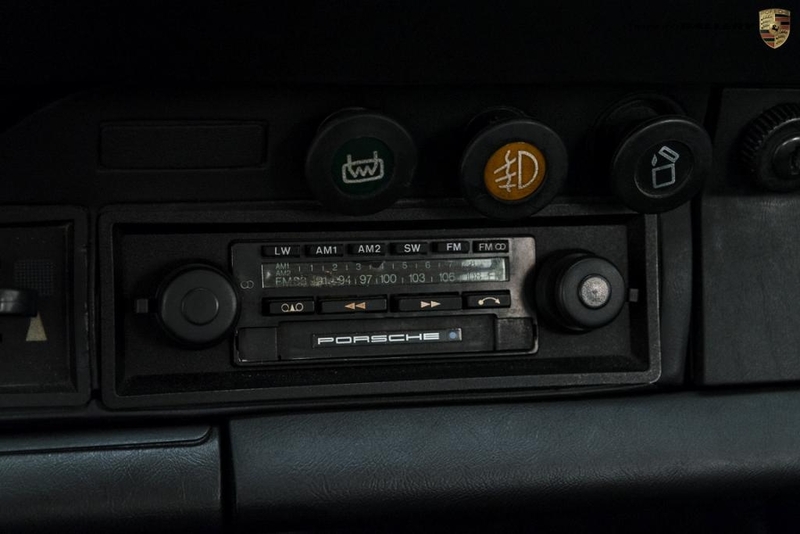 The side reflectors should be changed to the European style black bumpers. 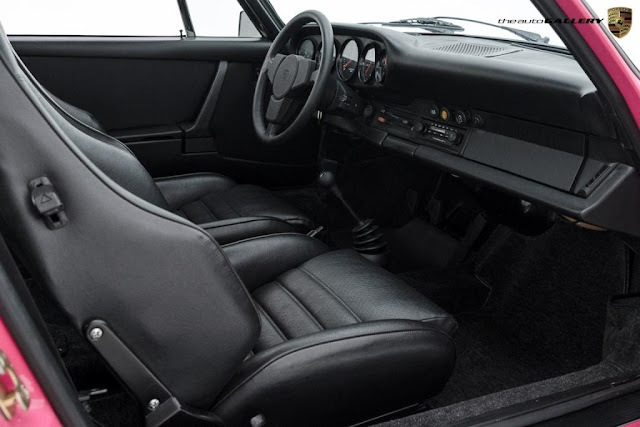 The interior was restored with all black since the correct midnight vinyl is not currently available. 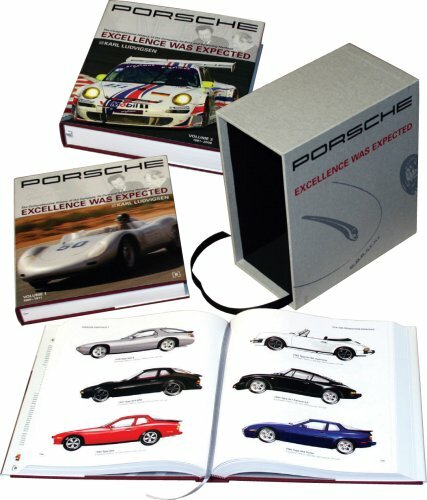 All of these and a few other items, except the interior vinyl, are quite easy to correct and would be a few steps closer to factory original. 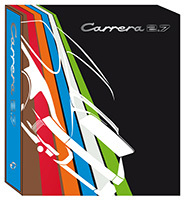 If I didn't already own a Carrera 2.7 this would be on my list to consider, though several things don't quite add up about the mechanicals. 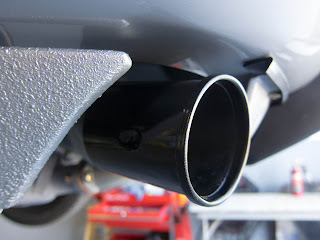 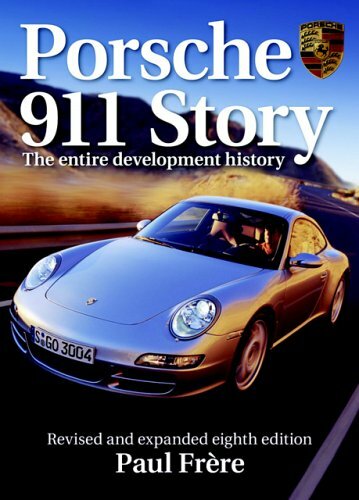 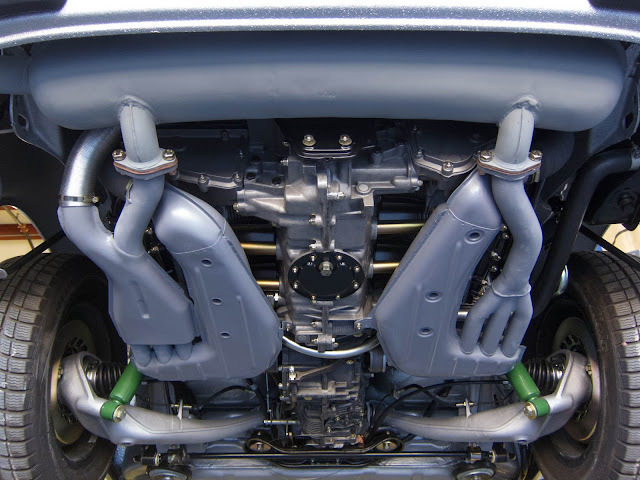 As with all rare cars, prospective buyers should confirm all chassis stampings, aluminum chassis tag stamping, engine numbers (both engine number and that it is a correct type 911/83). 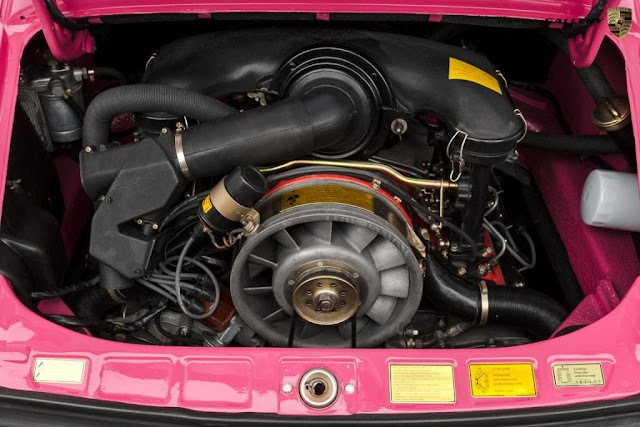 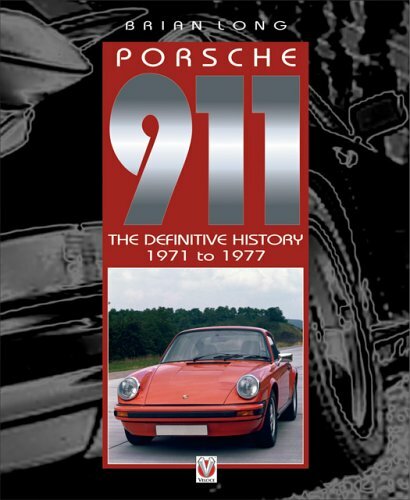 Hiring an expert in early 1970s 911s to do a pre-purchase inspection and verify all the numbers are matching and unaltered would be well worth it. 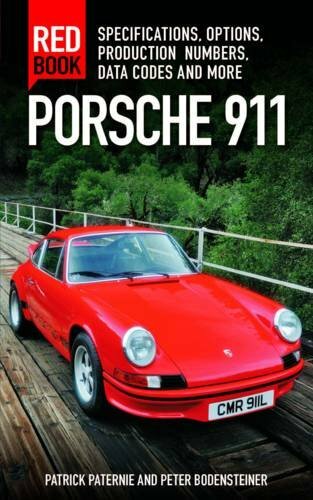 Offered for $249,980 USD and has also been posted on eBay.